Sgt. John O'Mara: Every man carries a badge. Some symbol of his allegiance. His were the scars of a boxer who'd used his fists to climb the social ladder of the mob. A Jew who'd gained the respect of wops through a homicidal lust. He'd sworn an oath of violence. And his master? His own insatiable will to power. He wanted to own this town. His name was Mickey Cohen. Glossy, slick, bloody, violent, dumb, crowd-pleasing, and undeniably entertaining. 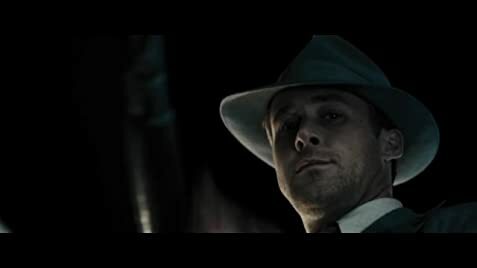 Filled with every gangster genre cliché rolled into one, GANGSTER SQUAD ain't high art, nor is it aiming to be. It seemed as if director Fleischer was trying to tell this story in the most fun possible way, and he succeeds with flying colors. The film is at its best when its loud and dumb but falters when it tries to be anything more than that. The cast seems like they're having fun, especially Sean Penn who has a field day with his role as the villain Mickey Cohen. The lines he's given are pure gold. Josh Brolin does a great job as the lead and Ryan Gosling is charming and charismatic as usual. However, Emma Stone is underused with a thankless role, but it's nice that she's in the film anyway. 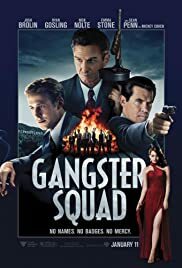 Overall, GANGSTER SQUAD is fun entertainment. No judgments, little pretense.